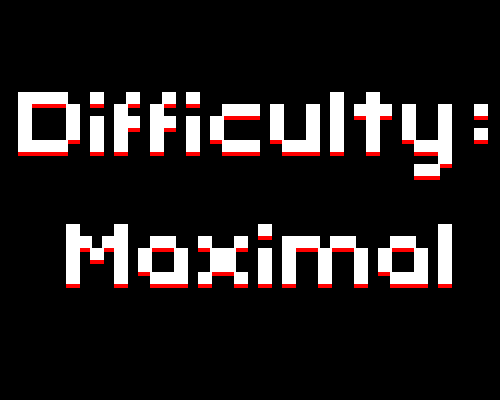 Difficulty: Maximal is a small and, you guessed it, difficult game made for amperComp01. Despite being rather hard it's fairly enjoyable and has some good music, so give it a shot. Uses the directional keys and enter. Nobody has shared their opinion about Difficulty: Maximal yet. Be the first. Recommendations: The 1 people who like Difficulty: Maximal also like the following games. Nobody has commented on Difficulty: Maximal yet. Be the first.